who lives and works in the Washington, DC area. Claire is an Art Director at Compass, and the Graphic Designer behind Mild Woman, which she collaborates on with her friend Jess Schreibstein. Claire’s work is informed by Danish modernism and a love of neutral colors and geometric shapes. She earned her BFA in Graphic Design from the Maryland Institute College of Art (MICA) in Baltimore in 2011. 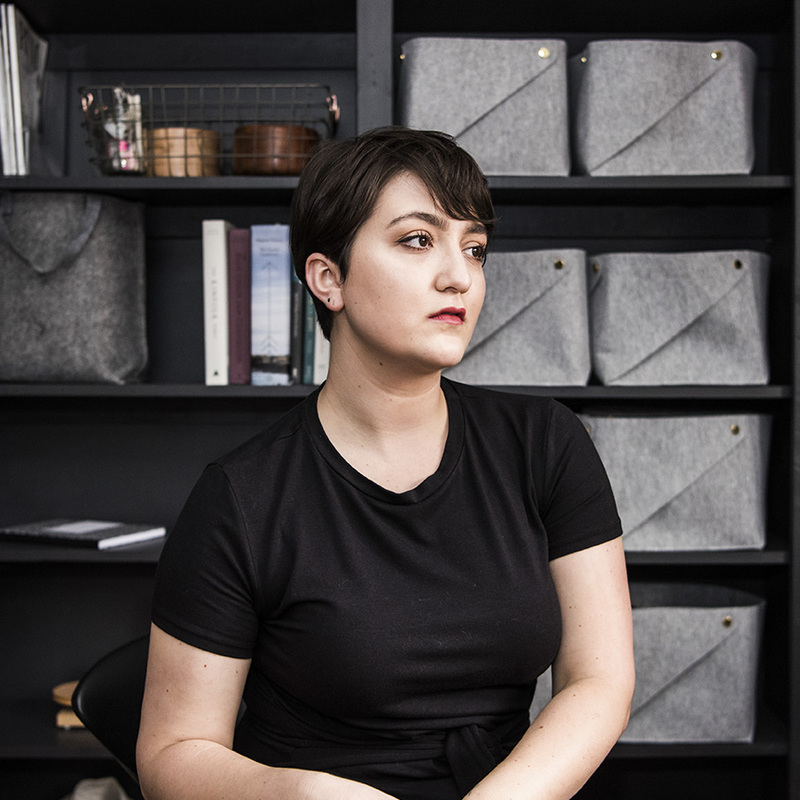 Claire is also an avid knitter and sewer, weaving her eye for design into her passion for creating as many things by hand as she can. Claire lives in Northern Virginia with her husband, son, and their two black kittens.